The third season is based on The Two-Bear Mambo, the second novel by Joe R. Lansdale. 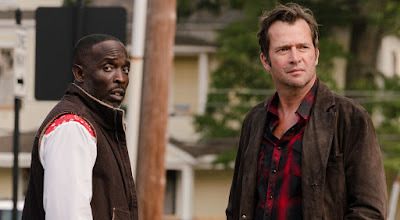 This time the two friends (Hap who is white and Leonard who is black) head to that Klan-active backwater looking for another friend: the brilliant and beautiful Florida Grange (Tiffany Mack). She was there to help the grandson of the blues legend sell a copy of an unearthed recording, until that grandson turns up dead, hanging from a bridge. Florida then goes missing herself, and the duo get pulled into an emotional mystery that puts their own lives in danger.